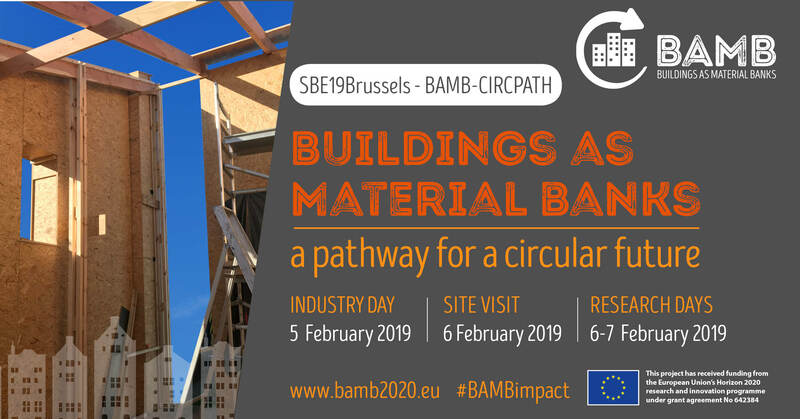 The programme for BAMB’s final event “Buildings As Materials Banks – a pathway for a circular future” (SBE19 Brussels – BAMB-CIRCPATH) is ready! The Industry Day has two inspiring keynote speakers and six exciting parallell session to be part of. Which parallel´session do you choose? 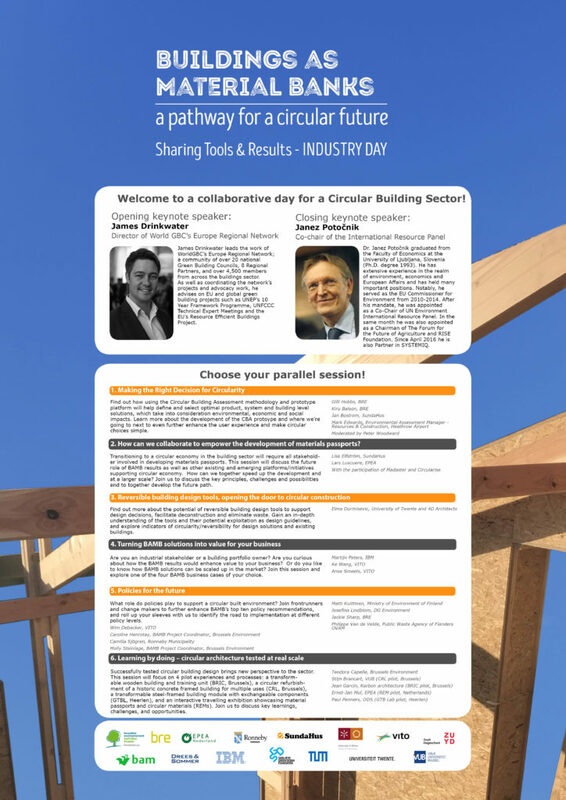 You find the latest version of the programme for the Industry Day here. The Research Days has three exciting keynote speakers and a lot of new research results to take part of. You find the latest version of the programme for the Research Days here.